7 days of Festival in Brașov, 5 intensive days of summer school brainstorming, 2 site visits (Brașov historic centre and Coresi Business park), 3 roundtables, over 25 participants, international and national experts tackling the topic of Smart Planning of Cultural Heritage, which led to plenty of results: 3 scenarios for the revitalization of key heritage areas of the city that hosted the event (the Historic centre, the Citadel and Schei neighbourhood), fresh ideas, reflections and recommendations formulated at roundtables, informal discussions during workshops and site visits that contributed to the spiritual, cultural and professional enrichment of the whole event. ROCK was highly represented at the event through the presence of three partners: University of Bologna, Urban Centre Bologna and URBASOFIA. Valentina Gianfrate together with Giovanni Ginocchini gave a Lecture on Architectural conservation & Urban Regeneration, where they highlighted the ROCK approach towards the cultural heritage-led regeneration processes in cities. The lecture was followed by a workshop (coordinated by them), focused on issues related to the urban regeneration of the three study areas in Brașov: the Historic centre, the Citadel and the Schei neighbourhood, all of them gathering important heritage values. 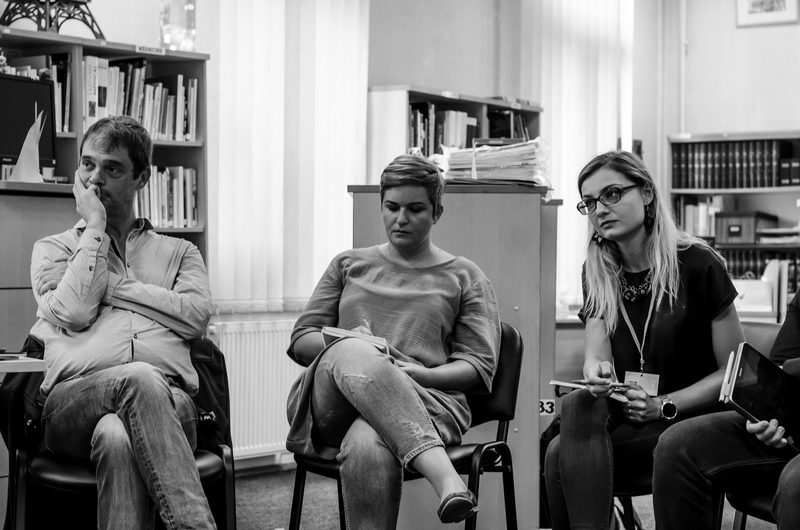 Additionally, Pietro Elisei moderated a roundtable focused on Public spaces and urban regeneration in Romanian cities, where he brought into discussion ROCK approach of dealing with Cultural Heritage in the public arena. He was also a panelist at a second roundtable tackling the topic of Romanian Cultural Heritage in the Digital Era, opening the issue of using innovative tools and technologies in the preservation and valorisation of Cultural Heritage (case studies from ROCK cities). Below you can access the event report, a set of relevant images during the festival and the final presentations of the three groups: https://photos.app.goo.gl/AaSvVNTLy7xP2hNN6, https://drive.google.com/open?id=1kBmQz8__sNPZnFLC0o9MLGr2jQiGhXFE. 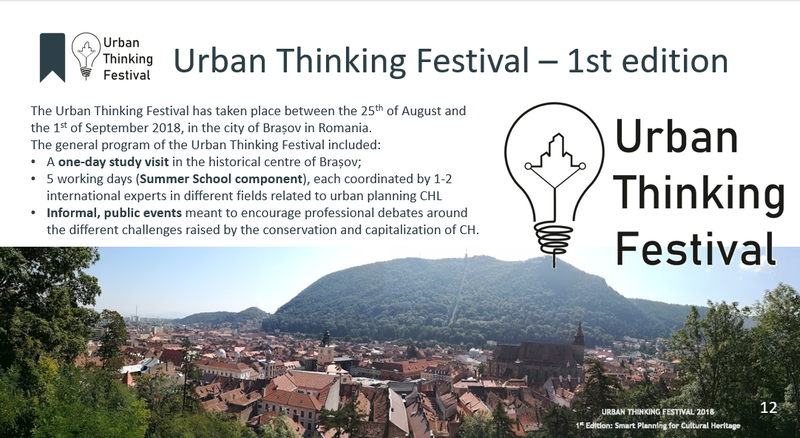 Follow us at: http://urbasofia.eu/en/urban-thinking-festival/ for more information regarding the 2nd edition of the festival in 2019 !